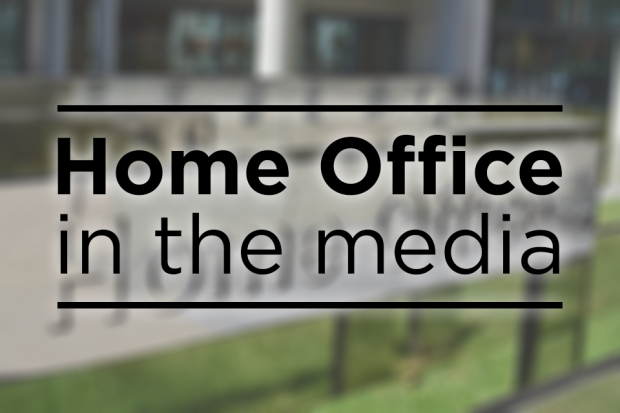 News relevant to the Home Office today includes extensive coverage of the terrorist attacks in Spain and follow-up reports on immigration policy after Brexit. There is widespread coverage of the terrorist attacks in Barcelona yesterday and in Cambrils in the early hours of this morning. Media report that 13 people were killed when a white van hit pedestrians in the popular tourist destination of Las Ramblas in Barcelona, and that a further six civilians and a police officer were injured in a second attack overnight in Cambrils. The papers carry numerous eyewitness accounts, including from British holidaymakers. This morning, broadcasters are reporting that Spanish authorities believe the two attacks are linked to an explosion at a house in Alcanar on Wednesday and suspect them to be the work of a terrorist cell based in the city. The Prime Minister issued a statement yesterday after the first attack in Barcelona. The Foreign and Commonwealth Office is providing consular assistance. The Mail, Express and Guardian report that EU citizens are expected to be able to visit the UK without a visa, but will need a permit or visa to work, study or settle. The Express and Mail report that the Prime Minister confirmed again yesterday that free movement will end when we leave the EU. The Express also reports that UKIP immigration spokesperson John Bickley has criticised the Government for “economising” border controls and using “private individuals, employers and landlords as unpaid border guards”. Our response to this criticism is below. We’re committed to ensuring that Border Force and Immigration Enforcement have the resources they need. They should be judged on results, not staff numbers, with recent successes speaking for themselves – including tackling major people smuggling operations and stopping tens of thousands of illegal attempts to enter the country. The UK already has some of the most secure borders in the world with our expert officers using some of the most advanced border security technology to check more than 100 million passengers travelling to the UK. And it is now harder than ever before for those with no right to be here to remain in the UK. Whether it is working, renting a property, opening a bank account or driving a car, we can now take tougher action on those who flout the law.